I was minding my own business, just drinking my half-caff capp and tippy-typing away on my computer. I truly didn’t mean to eavesdrop. But this cafe was hipster-sized-small, and when he said “Thailand” my ears perked up. He wasn’t even talking to me, but immediately I had commandeered the conversation, and we were off. This stranger and I spent the next 15 minutes talking about how he had just been in Thailand, spending his vacation days diving off the coast of Koh Tao, and how he was now leaving his life in Austin to go spend 3 months getting his dive master certification. It was a decision he had made in an instant, one night on the island. And as is often the case, when he returned home to sort out the logistics, everything just fell into place. A friend of his gratefully accepted the offer to sublet his apartment and care for his cat while he was gone. He put his job on pause, and purchased his ticket back to the land of smiles. Hearing his story reminded me so much of my own. Four years ago, I decided in one fateful moment that I’d be moving overseas within 6 months, and immediately the wheels were set in motion. I did what any person with a goal does, I pursued information, and relationships that would expedite this process, but of course, so much of what made my inevitable voyage possible was simply magic offered up by the Universe. Coincidences and serendipitous connections abound. None of which I could have predicted, but all equally integral to my achieving the goal of moving overseas and saying good bye to corporate life. Just like my new diver friend, the Universe recognized that I was serious, and that I was certain about the outcome, and it supported me in making it a reality. I remember boarding the plane for South East Asia just three short months later thinking, Oh my gosh, I actually did it. And then, on one clear balmy night, a mere 3 months after that, I stood on the EXACT beach in Thailand that I’d stared at, as my desktop background photo for weeks leading up to my departure. It hit me how precise my manifestation had been, and I looked out at the lapping waves and just cried from joy. Life really can be exactly what you want it to be if you decide with certainty and have faith. And it’s these two things-certainty and faith-that will keep you going when it feels difficult, or when people tell you your dream is impossible, or unrealistic. Whether you want to pause your “real" life and live on an island in South East Asia for a few months, or you want to pursue a different career path, or become a published author...whatever your goal is, it’s completely doable. The key to having success in these situations is to trust your gut and then go all in. Know when something is a fleeting desire, and when it’s a must. Discerning between the “I wish”s and the “I will”s. A friend recently asked me, “Were you ever scared, or did you doubt yourself before moving abroad?" I told her, "not once." I’m not saying that you should only pursue things that don’t scare you. I’m saying that sometimes, when you do scary things, if it’s really truly right for you, you actually perceive fear as excitement. And you’re more successful because you don’t stress about “the how”. You trust that it will all work out, because you have a knowing within that is sufficient. External validation simply becomes irrelevant. Follow the dreams that are grounded in a sense of peace. Trust that you can create your life to be whatever you want, and that the only validation you need for your ideas comes from within. If you know something is meant for you, then it is. Choosing an alternative lifestyle, and living out of a suitcase was not always easy. Pursuing entrepreneurship is ANYTHING but easy. But this path that I’ve trusted and known is right for me has brought me to so many amazing places, and connected me with so many amazing people. If I’d done the “realistic” thing, and stayed in my stressful, albeit interesting, corporate job, I’d be a completely different person today. 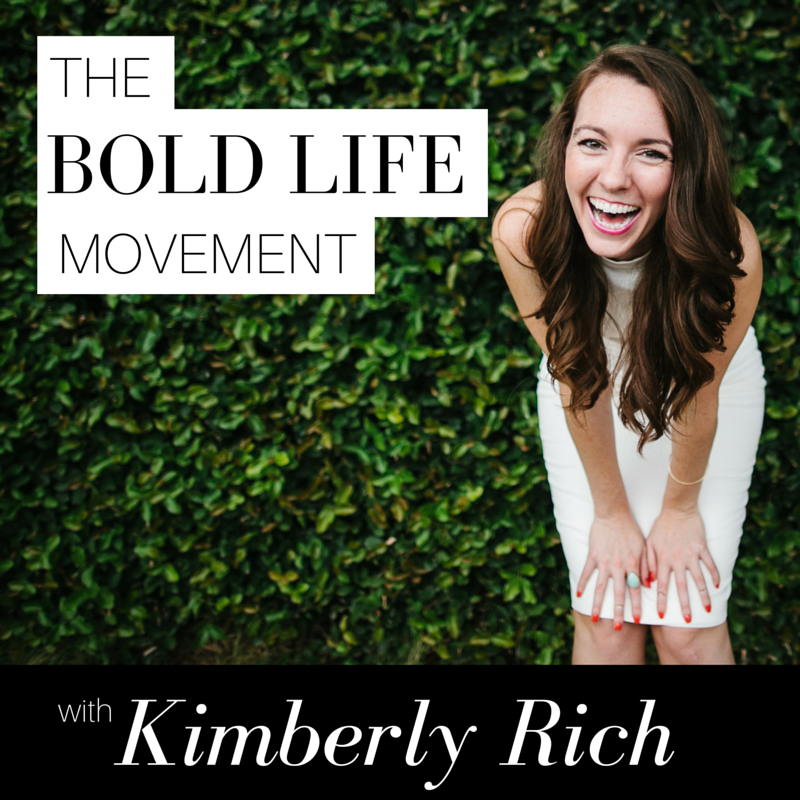 There would be no Bold Life Movement. There would be no foray into personal development. I wouldn’t have the level of awareness that I have now. Spoiler: I’m still human, and not every day is social media post-worthy, but I wouldn’t have it any other way. So honor the crazy ideas and wild dreams that loop through your mind, but are born in your heart. Trust yourself, and believe in those dreams. You really can live on the proverbial tropical island. You just have to decide if you want to. Newer PostWhat would you do if money wasn't an issue?